Argilo-siliceous ground with ferruginous material which warms the ground and drain it. Control of the return with disbudding and targeted cut. Wine making with fermentation and maceration under control of the temperatures, then partial breeding in new barrels of oak renewed by third every year. Belle robe groseille aux nuances légèrement orangées. Le nez s'ouvre sur des notes de vanille en gousse et de cerises confites aux variations toastées et pain grillé. En bouche, les tanins se dévoilent tout en douceur sur un charnu tendre et gourmand, de fruits rouges croquants et noisettes grillées. Un bon vin, fidèle compagnon d'une belle entrecôte grillée aux échalotes confites ou toute viande en sauce. 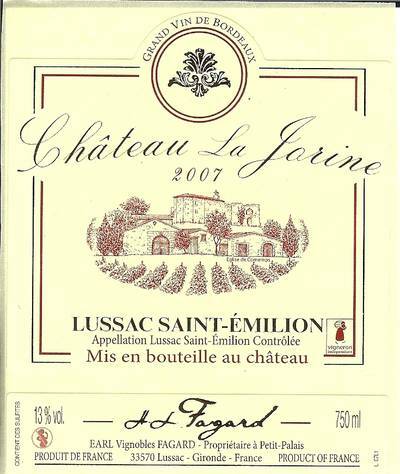 Red-coloured, with purple touches, with blackberry and flowers on the nose, roundness and freshness in the mouth, non-aggressive tannins, for a firm vanilla finish. This is an enjoyable wine that should be relished within the next ten years, and would be an excellent match for veal medallions, roasted fowl, or osso-bucco and risotto. 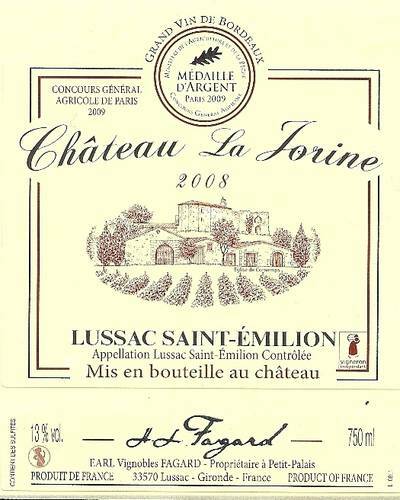 An excellent richly-colored and aromatic wine with good balance and structure, silky tannins giving off notes of ripe black cherry and forest undergrowth, and a long finish. 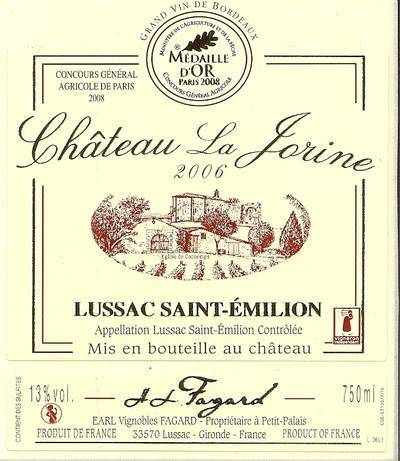 This is a classic, elegant wine that may cellared for at least 15 years and will be fit accompaniment for a holiday meal.